Deliver SCORM and xAPI courses with LearnUpon's intuitive interface. It couldn’t be simpler. Feel secure knowing your files work with our LMS. LearnUpon is compatible with the most popular authoring tools - Adobe Captivate, Articulate Storyline, Elucidat and more. 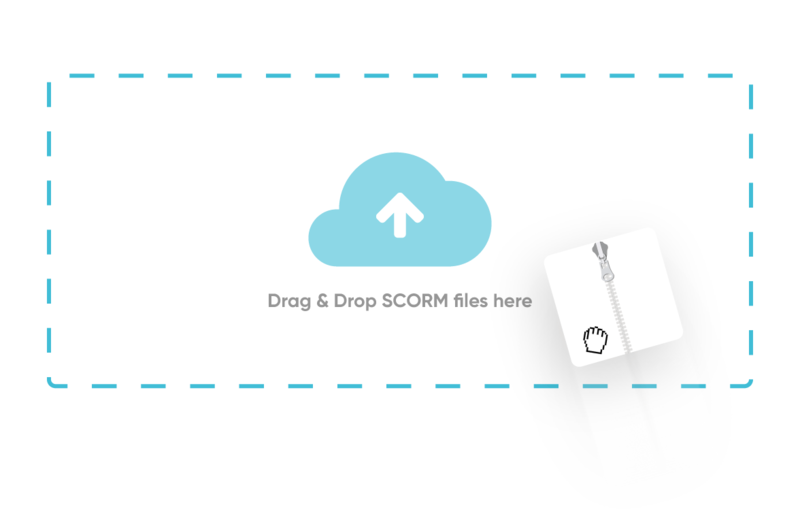 Upload your SCORM 1.2 and xAPI files by dragging and dropping them straight into our LMS. It’s an instant, user-friendly process. Need to change the conditions of your SCORM course? Don’t worry, there’s no need to reauthor. 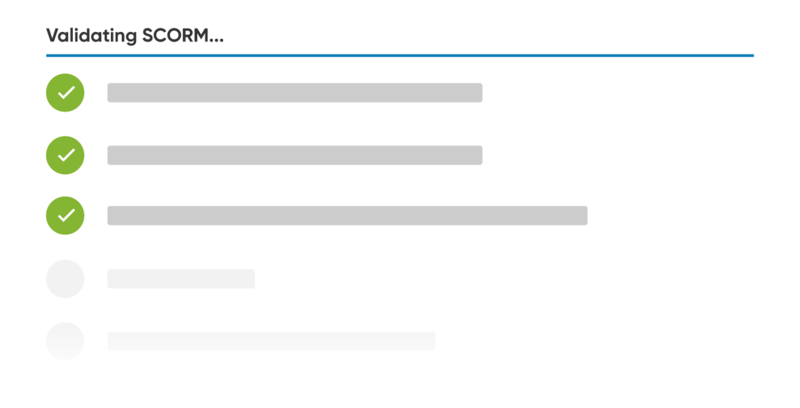 You can override SCORM settings right in LearnUpon. Change SCORM or xAPI files without altering your courses or its enrollments. Swiftly swap the files and ensure your learners can still access their training. LearnUpon instantly validates SCORM content during upload. You’ll get feedback on any errors so you can correct them before importing the file again. 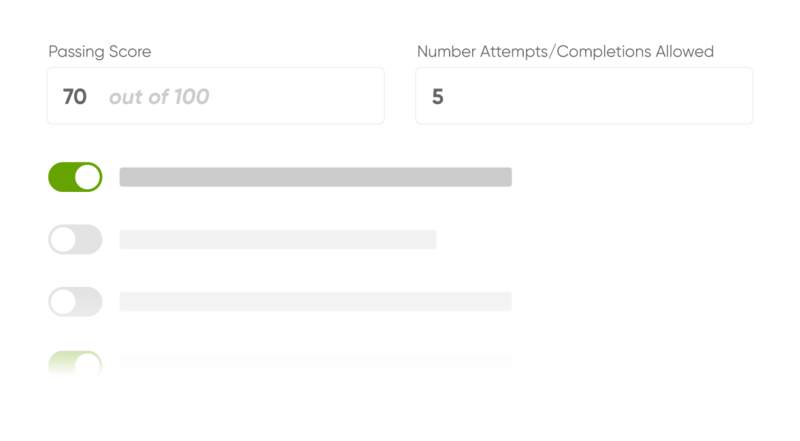 Access and interpret granular data by getting xAPi statements shipped to LearnUpon using our quick to configure LRS integration.